The 2019 Taste of Hartsville presented by Manor South Design will be held at Burry Park on Thursday, May 16 from 6:30-8:30 p.m. Local chefs will provide samples of their signature dishes and drinks during this year’s event themed “Hartaritaville.” The Taste of Hartsville provides an opportunity for both amateur and professional chefs to show off their best recipes to the community, while attendees enjoy a fun night of music, networking, and filling up on the exquisite food offerings. 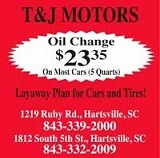 “We are looking so forward to moving the Taste of Hartsville back outside this year. This will be a night to connect with hundreds of people from our area while enjoying the best food, ranging from barbeque to shrimp and grits and everything in between. We will have entertainment from Pantasia Steel Drum Band, a photo booth, and much more! 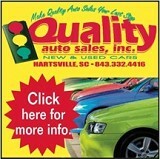 We hope to see you on the 16th,” remarked Greater Hartsville Chamber of Commerce president Murphy Monk. Guests may purchase tickets online at hartsvillechamber.org or in person at the chamber of commerce. Individuals must be 21 or older to purchase tickets; because libations will be served, no one under 21 will be admitted. For more information on serving as a chef or to purchase tickets, contact the Greater Hartsville Chamber of Commerce by calling 843-332-6401. Tickets are $35 through May 10; tickets will be $45 after May 10 and $50 on May 16. The Taste of Hartsville presented by Manor South Design is sponsored in-part by Embrace Hospice, Sonoco, Travis Blayton with The Palmetto Mortgage Group, Palmetto Brick, Carolina Pines Regional Medical Center, SPC Credit Union, Raceway Ford Chevrolet, and Fairfield Inn. The Greater Hartsville Chamber of Commerce is a membership-based business advocacy organization founded in 1910. The Chamber provides a voice for local businesses, supports economic development, and promotes the vibrant and personal community that makes Hartsville appealing to businesses and residents.